Lawyer In Spain. Spanish Lawyers. Terms and Conditions. All the contents included in this web site are elaborated by properly qualified professionals. Nevertheless, LawyerinSpain.com does not take responsibility of the use that can be done of such since these contents are merely orientative and informative; this is the reason why we always recommend consulting a professional with the purpose of solving legal problems. 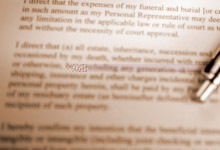 The information contained in LawyerinSpain.com does not constitute opinion or legal advice. The answers to any questions directed to LawyerinSpain.com will be merely orientative. The opinion of our collaborators and our colleagues will not be responsibility of LawyerinSpain.com either. The answers to any questions directed to LawyerinSpain.com will be merely orientative. The opinion of our collaborators and our colleagues will not be responsibility of LawyerinSpain.com either. All texts and images published in this web site are exclusive property of LawyerinSpain.com, reason why all use of such material must be made under the express consent of the holder of this Lawyer's office. The website LawyerinSpain may have links to other websites which LawyerinSpain can not control. So that LawyerinSpain can not assume any responsibility for the content showed on those websites. Address: C/ Comedias, 2, 3rd floor. CP 30201, Cartagena ( Murcia ), Spain.